The state of Minnesota is a beautiful place to live, work and raise your family. Minnesotans are hard workers who care about their state and each other. 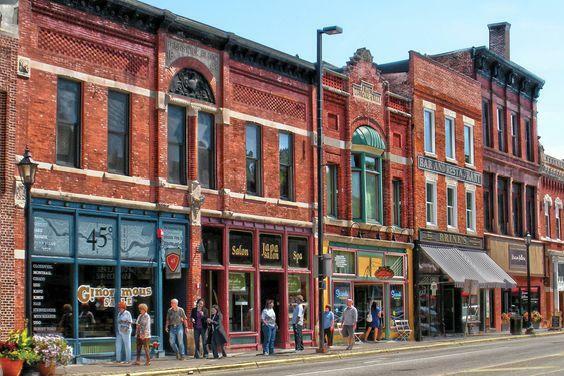 The small city of Stillwater, Minnesota is one of these close, family-centered communities. Stillwater, which is part of the greater Twin Cities metro area, has approximately 20,000 residents, and today’s residents are safer than ever thanks to the strides that the city has taken to become an official Heart Safe community. The Minnesota Resuscitation Consortium at the University of Minnesota reports that a person’s chance of surviving a heart attack in the United States can vary by up to 500 percent based on where they live. Because of this sobering statistic, Stillwater residents have made many important changes to increase the chances of survival after a cardiac arrest. In January 2016, the progress paid off as the city was named a Heart Safe community by the Minnesota Resuscitation Consortium. The Consortium has developed a long list of tasks that cities can complete to earn the Heart Safe designation. In order to receive this honor, a community needs to accumulate at least 600 points by completing various tasks. Stillwater residents went above and beyond by earning more than 1,000 points, and they continue to make strides to make their community even safer for all residents and visitors. There is not just one action that makes a community heart safe. Instead, it the the combination of several different factors that can increase survival rates and help each member of the community feel more empowered. 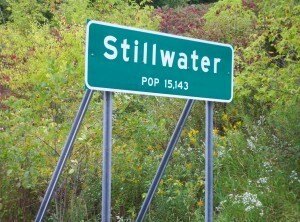 During their journey to become a Heart Safe Community, the people of Stillwater held community CPR training events. Members of the Stillwater Fire Department led this training, and the department is proud to have four full-time employees who have successfully completed official CPR instructor courses. This training was offered free of charge to residents, and the sessions focused on the hands-only method of CPR. This type of training instructs participants to use only chest compressions instead of both compressions and rescue breathing. Performing chest compressions might seem like a simple task, but it can actually make the difference between life and death in the time before emergency personnel arrive on site. In addition to training community members in CPR, Stillwater also purchased potentially life-saving equipment. Community organizations, including the Lions Club and Elks Club, joined forces with the Minnesota Resuscitation Consortium to provide the financial backing for this project. Thanks to their generosity, the city of Stillwater now has CPR dummies to assist with training. Automated External Defibrillators have been proven to increase a cardiac arrest victim’s chances of survival. Stillwater is working on developing a database of all AEDs located at both public and private city facilities. The state of Minnesota hosts a statewide AED registry, and the devices are also added to this helpful tool. It’s important for community members to know where these devices are located, along with understanding how to use them correctly in case of an emergency. In-Pulse CPR is proud to offer high quality CPR training to 13 locations in Minnesota, including classes in the Twin Cities Metro area. Our instructors have years of experience in the medical industry along with plenty of real-life experience in education and training. We want our participants to be able to assist anyone in need at any time, so all classes include instruction in adult, infant, and child CPR techniques.